Forget about the hassle of folding over double-sided banner tape to make a banner hem! 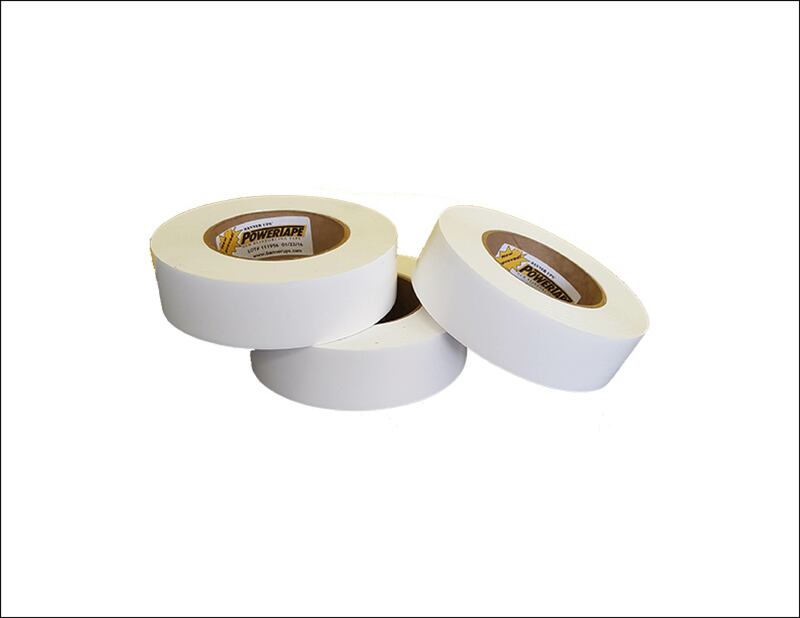 Made of heavy-duty film, PowerTape takes the place of hemming and grommeting. Simply apply tape over PowerTabs along the top and bottom edges on the back of the banner. After applying the PowerTape, punch holes through the tape, tab center holes, and banner media then run rope through the hole. In a few minutes, you can create a strong banner of any length without the time and struggle for grommeting, of the risk of damage to the image that post print sewing can cause.